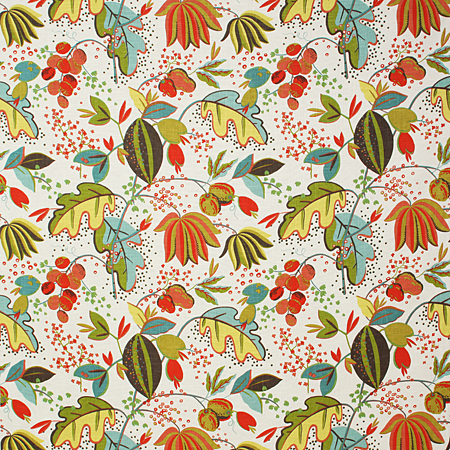 Feels very Josef Frank, no? Now, let's discuss the wonderful color tones here - aqua, persimmon, leaf green, yellow...all dancing on a white background. So much yes. Wow! Now, I can't seem to find it as wallpaper but BOY does it work as a wallcovering. 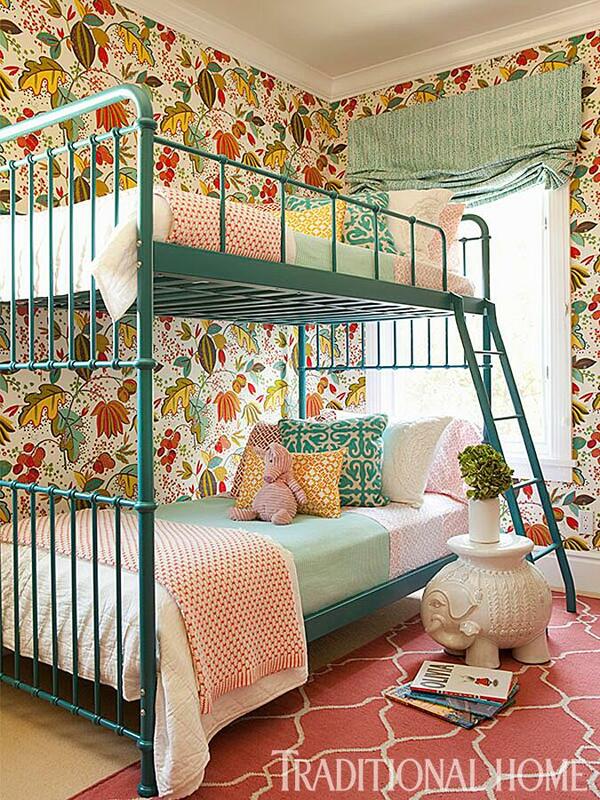 I just love how this designer pulled out the colors for a child's bedroom. So lively and fun.